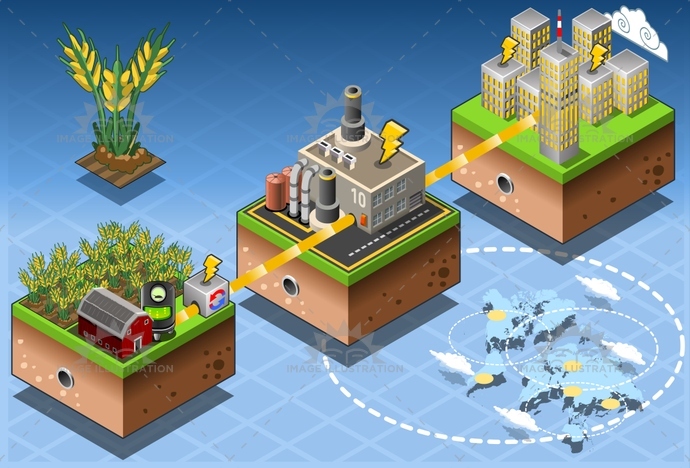 Stock product - detailed vector illustration - Isometric Infographic Collection - Energy 09 - created by Aurielaki. Image formats EPS AI JPG. SKU: Energy-09-Infographic-Isometric-AurielAki. Category: Energy Chain Set Vector 3D. Tags: alternative, bio, biomass, boil, building, compost, Diagram, diesel, eco, Electricity, energy, environment, farm, flow, gas, Generator, green, harvesting, illustration, infographic, isometric, pipe, plant, power, renewable, resource, Source, station, technology, vector.